The workspace is near Chandigarh and is situated right off the highway connecting Ambala and Chandigarh which is well connected through air-conditioned and local buses with Chandigarh, Panchkula and other neighbouring areas. The highly secure workspace has CCTV coverage and allows entry only through NFC based access cards. They also offer options to work beyond office hours and on public holidays and the café at the centre has a wide menu of food and beverages offered. Ideal for the travelling professional due to its close proximity to the airport this modern and professional business centre is located in a planned industrial area and provides a range of office space solutions on flexible terms. 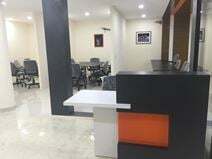 Situated less than ten minute's from Elante Mall and half an hour from Chandigarah International Airport, this brand new, bightly lit, modern co-working space is the perfect location for entrepreneurs, startups and freelancers to set up their business to expand opportunities and networks in this community driven space. Connected to road transport and near to a range of amenities, this space provides great access to your daily needs. 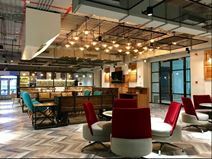 This fantastic, collaborative workspace is located in the center of Chandigarh, Sector 8C and was designed to encourage collaboration between startups and entrepreneurs. Close to the space are a range of hotels and restaurants. The workspace based in the joint capital of Punjab and Haryana offers fully customisable offices to your business unique needs. Located central to the commercial centre of the city and surrounded by retail outlets which are including many high end stores and restaurants all within a radius of 1 Km.